My last post mentioned the leader of the UK’s Green Party, Natalie Bennett, and her catastrophic pre-election interviews where she clearly didn’t have a clue about the subject under discussion. But what is it about an appalling interview that piques our interest? Why do we enjoy cringing at someone else’s misfortune? Or perhaps ‘enjoy’ is too strong a word, but there’s certainly fascination involved. Take poor old Guy Goma, a low level IT worker, who on 8th May 2006 was sitting in BBC reception waiting to be called in for a job interview. That day Apple Computers was involved in a court case with the Beatles’ record label, Apple Corps. BBC News was planning to interview IT expert Guy Kewney on the implications of the case. But Mr Kewney was late. So when a news producer called into reception to collect “Guy”, he brought with him the wrong man. Mr Goma, to give him credit, made a very brave attempt to answer the presenter’s questions, but do take a look as the shock of unexpected live TV dawns suddenly on his face. It’s both horrifying and engaging in equal measures. Or the toe-curling cringe when Stephanie Banister, would-be Australian politician, reveals that she thinks Islam is a country, confuses halal (permitted by Shari’ah law) with haram (forbidden), and insults both Islam and Judaism in almost one breath. It’s riveting stuff. Take a look and squirm at this true car-crash of an interview. There’s a great German word for feeling secretly pleased at other people’s misfortunes: “schadenfreude”. And scientists have found that there’s a very simple reason for schadenfreude – self-interest. When other people get it wrong, there’s often personal gain to be made. We enjoy seeing the ‘other’ team lose the match and cry because it means we win. We like seeing politicians in the ‘other’ party making fools of themselves because it means our favoured politicians are more likely to succeed. There are biological as well as psychological reasons for schadenfreude, linked with seeing the unexpected when we’re anticipating the mundane. Car crash interviews are incongruous interviews. They’re not what we expect when we switch on the TV or listen to the radio. They’re out of the ordinary. And extra-ordinary events happening to someone else can trigger a set of ‘mirror neurons’ in our brains. These neurons reflect and try to repeat what we see. So when we watch someone slipping on a banana skin and flinging out their arms and legs in an attempt to stay upright, our mirror neurons fire in empathy, copying the neuronal activity in the other person’s brain. It’s almost as if we are trying to keep our own balance. One hypothesis is that our brain is ‘tickled’ by those nerves firing off. 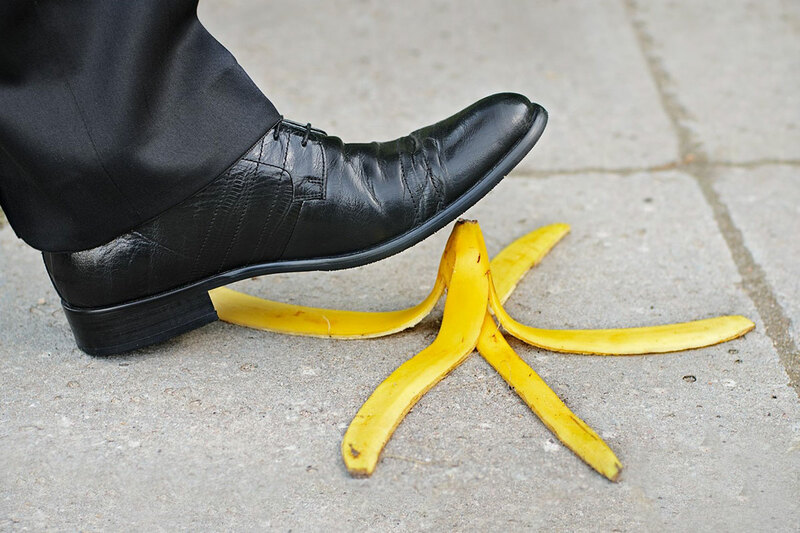 And the unconscious stimulation we receive from the ‘tickle’ reinforces our perception of incongruity – whether we’re watching someone tumble headfirst, or seeing them slip on the metaphorical banana skin of an interview. No-one is immune to a bit of tickling, so we find ourselves smiling internally as we grimace. In interview terms of course, a spot of executive media coaching can solve the car crash problem before it arises, significantly reducing the likelihood of making a fool of yourself. Come on Cameron – camera shy? I don’t believe it. Shame on British Prime Minister David Cameron for refusing to take part in a series of pre-election TV debates with rival party leaders, when he pushed so strongly for debate five years ago as Leader of the Opposition. It was all very well to advocate TV debates and to air his views when he had nothing to lose. But now, at crunch time, with Labour and the Conservatives neck-and-neck in the polls and the general election just over seven weeks away, David Cameron’s job, home and international reputation are all at stake. Not to mention the future of the British public. Mr Cameron is obviously terrified of a public battle with Labour Leader Ed Miliband – even though Mr Miliband is reported today by an independent poll as being the most disliked of any British party leader. Cameron may also have the very realistic fear that a hitherto unmemorable politician will upstage them both. Enter Nick Clegg, Liberal Democrat leader and current Deputy Prime Minister, who won his way into public affection just before the last general election, when he seemingly sprang from nowhere and revealed himself to be an accomplished TV debater (and easy on the eye as well). Take a look at Clegg, Cameron and the then Prime Minister Gordon Brown in action: Clegg fights a fierce fight. US history is littered with Presidential elections won and lost on the basis of TV debates. The most extreme example was the debate on 26th September 1960 between Senator John F Kennedy and Vice President Richard Nixon. This was the first time a Presidential debate had ever been aired on TV, and the outcome demonstrates vividly how visual appearance can outplay words, content and meaning. Those listening on radio were swayed by Nixon’s arguments and were convinced he had won the debate. But TV viewers were less than impressed by his pallor, his five o’clock shadow, his sweaty face and his apparent nervousness. The tanned, charismatic Kennedy, speaking straight to the camera – and thus straight to the viewers – won the nation’s heart and their votes. Polls revealed that more than half of all voters were influenced by this debate and the three that followed. Check it out for yourself to see why. To be fair to David Cameron, he has backed down a little – after wasting much precious House of Commons time rowing about whether to debate. He has finally agreed to appear in a single TV discussion. But only on the condition that six other party leaders are also involved. That, of course, means significantly less airtime for Cameron to make a gaffe or show himself up in any way. It’s no accident, of course, that he’ll be debating against politicians with much less media experience than himself, and with no chance of becoming Prime Minister. Take the Green Party leader Natalie Bennett, for example. She’s fast becoming renowned for her appalling interview blunders (listen and cringe) and she could certainly benefit from a strong dose of media training for leaders. 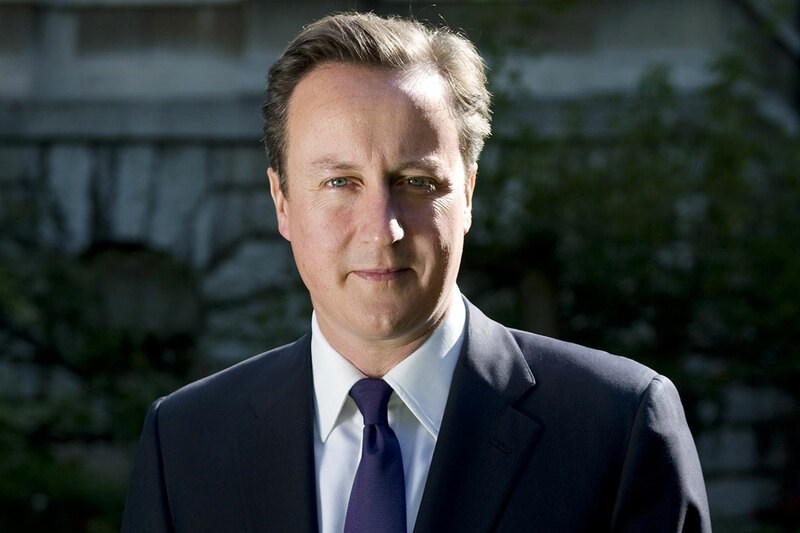 But with rivals like Bennett, and the controversial UKIP leader Nigel Farage, with his history of contentious clangers on racism, sexism and breastfeeding, whatever David Cameron says in the forthcoming TV debate, and however he performs, Mr Cameron is likely to come out smelling of roses.